Welcome to February 2018’s online income report. We are excited to show you how we made money online last month. Hopefully this online income report will give you an idea of how we make some extra money online blogging! If you are considering starting a blog to make extra money, have a look at our simple step-by-step tutorial that teaches you how to start a blog using WordPress and Bluehost. Making money online is not for everyone – it takes work, dedication and the ability to endure a steep learning curve. However, it can be a very lucrative way to make extra money while working from home and being your own boss! Ok, let’s get started breaking down how we made $8,255.05 last month online. Unconventional Prosperity (the 7 month old blog you are reading right now!). StockMillionaires.com a niche website where we review stock trading and investing educational products. Both these sites focus on different areas of personal finance and both generate income streams through a combination of affiliate product commissions and ads. We have been working part-time on growing our affiliate income for a few years now and we feel that the work is starting to pay off, with multiple $10k+ months during 2017. We are often asked by friends, family and blog visitors – what is our favorite course that teaches you how to start a blog and make money from it? Without a doubt we highly recommend Making Sense Of Affiliate Marketing by Michelle Schroeder-Gardner. We applied what we learned in the course last year to establish this blog which is now making a steady $1000+ every month! Not bad for a $197 investment! We expect this to grow as we continue to work on this blog. Anyway, lets get started on exactly how we made money last month. Here is a breakdown of the affiliate commissions earned from this blog in February. We get paid per lead ($0.6 to $2) for every person that signs up for a paid survey. These surveys allow the user to make some extra money by giving their opinions on products and services. If we refer a user and they become a ‘lead’ for that company we receive a small commission. Here are the sites we use to promote paid survey opportunities to our readers and the commissions earned last month. Total online income for recommending paid survey sites = $484.85. Our readers favorite paid survey is called Survey Junkie. This is an awesome site that pays you to fill out consumer surveys for their clients. Survey Junkie is our highest converting survey offer (50% conversion rate) and we deal directly with the company that owns them – Blue Media. The commission per lead is currently $1.5 which is really good for a high quality survey site that has just a single email opt-in. We also made $195 from Bluehost referrals (check out our step-by-step tutorial on how to start a blog) in February. This is something that we are focusing on in the coming months. We also made referral commissions from recommending an awesome course on how to make better pins to drive more traffic to your website. We love Pinterest and the majority of our traffic comes from the site. Last year we purchased a course called The Perfect Pin: How to Create Viral Pinterest Images by Jeff Proctor and Ben Huber. The Perfect Pin course has helped to massively increase the traffic to our blog from Pinterest and resulted in dramatically increased earnings. 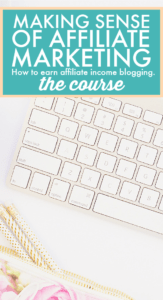 We made $75 in affiliate commissions in February from recommending the Perfect Pin course to other bloggers. From what we hear, people love the course as much as we do! Finally, we made $233.85 from putting ads on this site. This was a big deal to me as we have never had ads on any of our sites. We applied for Mediavine and they were really great to work with setting up ads on this site. The ads generate anywhere from $10 – $30 per day with our daily traffic (500 -2000 views per day). Ads do distract from the content a little bit but they are a nice way to add another few hundred dollars a month in revenue without doing any extra work! If you have 25k+ sessions on your blog every month, I highly recommend applying for Mediavine to monetize your blog with ads. We have been running them for 3 weeks now and love the extra income that they generate. Stock Millionaires is our stock trading blog – and wow it is a profitable niche to blog about! We only had 10,000 page views in February but we generated $7,232.59 from affiliate sales. We have traded stocks for years and we love sharing the online educational materials (DVDs and stock alerts services). These educational materials offer high commissions because they are expensive products. It is not unusual for us to make $1000 per sale in commission! Note on expenses: We actually have very little blogging expenses. Typically we pay $2.95 for hosting and about $30 per month in automation programs for social media. I hope that you have found this online income report helpful! We have tried to provide as much detail as possible but if you would like clarification then please just comment below. 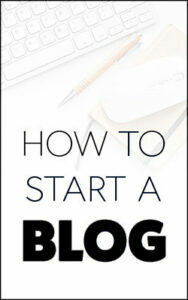 This is very inspiring to bloggers like us who aspire to earn a full income from Blogging. My income levels are increasing day by day, and I hope to reach level like this one day. Thanks for sharing. Thanks for the nice comment John. Glad to hear your income is going up! Blogging is such an awesome way to make money and it can progress more quickly than one can imagine! If you can make $100 blogging you can make $1000. If you can make $1000 then you can make $10,000! Just keep doing what is working!